The influential documentary filmmaker behind At the Heart of Gold reflects on the missteps that shaped her life, her relationship with her late journalist father, David Carr, and their shared battle with alcoholism. The best-selling author of American Wife and widow of "American Sniper" Chris Kyle presents an inspiring collection of stories from history and the author's personal life that showcase the resilience of the American spirit. The legendary front man and rhythm guitarist of KISS offers an anecdotal tour of his personal life and celebrity relationships, offering insights into the creative perspectives that have shaped his career and family dynamics. The journalist author of A Singular Woman traces how the 800-acre Philadelphia estate of her investment banker great-grandfather shaped choices that impacted generations of her family and reflected the encroaching economic inequalities of the modern era. 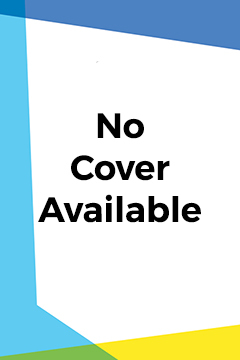 In honor of the 50th anniversary of Woodstock and the formation of the band itself, the author presents a biography focused on the formative and highly influential early years of what Rolling Stone magazine called “rock’s first supergroup”—Crosby, Stills, Nash and Young. Chronicles the lesser-known story of the Reconstruction-era Secret Service and its battle against the KKK's effort to suppress the emancipated African-American vote, sharing particular insights into the career of controversial Secret Service chief, Hiram C. Whitley. The Comma Queen returns with a buoyant book about language, love and the wine-dark sea. By the best-selling author of Between You & Me. Queer Eye’s beloved culture expert shares his story for the first time, exploring how the challenges in his own life have allowed him to forever transform the lives of those in need. Draws on host interviews and unprecedented access in a dishy backstage tour of the influential morning television show that shares first-person insights into its strong personalities, power struggles and interpersonal dynamics. An award-winning artist documents his spiral into drug and counterculture violence in the 1970s, relating his preadolescent exposure to LSD, his teen pursuit of kinship in the West and the factors that nearly ended his life. A first book. The Academy Award-winning screenwriter and political activist presents a candid, resonant memoir of his experiences as a young gay Mormon in Texas whose polio-disabled mother taught him about surviving against all odds. Drawing on diary access and more than 100 interviews, a vibrant portrait of the former first lady by the Washington bureau chief of USA Today includes coverage of Barbara Bush's private struggles and remarkable political achievements. An in-depth portrait of the first National Book Award winner analyzes his life experiences and literary themes against a backdrop of mid-20th-century American politics and culture to offer insight into Algren's abrupt departure from fame into obscurity. The Top Chef star and "30 Under 30" Forbes honoree traces his culinary coming-of-age in both the Bronx and Nigeria, discussing his eclectic training in acclaimed restaurants while sharing insights into the racial barriers that have challenged his career. On Faith: Lessons From an American Believer by Antonin Scalia. Ed by Christopher J. Scalia & Edward Whelan. Foreword by Clarence Thomas. An inspirational collection of the late Supreme Court Justice's reflections, articles and other writings on faith in modern America shares insights into his own distinctly religious life and the Constitution-protected religious liberties that may be facing challenges. Published to commemorate the 25th anniversary of Cobain's death, a biographical portrait by Nirvana's music manager shares unique insights into such subjects as the meteoric success of Nevermind, Cobain's marriage to Courtney Love and his industry-changing suicide. To Stop a Warlord: My Story of Justice, Grace, and the Fight for Peace by Shannon Sedgwick Davis. Foreword by Howard Buffett. An award-winning human-rights advocate shares the true story of her unconventional alliance with a Ugandan general to stop a warlord whose resistance army had displaced millions, conscripted tens of thousands of child soldiers and killed over 100,000 people. Traces the lesser-known story of mid-20th-century spy Virginia Hall, detailing her pivotal role in coordinating Resistance activities in Europe that helped change the course of World War II. By the award-winning author of Clementine. The two-time Pulitzer Prize-winning author of The Power Broker and The Years of Lyndon Johnson provides an unprecedented gathering of vivid, candid and deeply revealing recollections about his experiences researching and writing his acclaimed books. The Art of Simple Living: 100 Daily Practices From a Japanese Zen Monk for a Lifetime of Calm and Joy by Shunmyo Masuno. Illus by Harriet Lee-Merrion. Relax and find happiness amid the swirl of the modern world with this internationally best-selling guide to simplifying your life by a Japanese monk who embodies the wisdom of Zen. A Times Magazine investigative journalist exposes the unchecked power of the prosecutor as a driving force in America's mass incarceration crisis, offering strategic recommendations for reversing discriminatory practices without changing the law. A posthumous collection by the best-selling author of The Man Who Mistook His Wife for a Hat features Sacks' signature compassion and erudition in essays exploring his diverse interests and remarkable late-career neurological case histories. At a time when many boys are in crisis, the author provides a much-needed roadmap for helping boys grow into strong and compassionate men. The preeminent math personality and author of The Joy of X presents an engaging explanation of calculus that demonstrates its simplicity and essential role in explaining the universe and enabling life-improving technologies. The best-selling author of Black Hawk Down documents the story of how five skilled detectives navigated the deceptions of a prisoner who hid his role in the 1975 disappearance of two young sisters. A groundbreaking account of the failures that prevented the world from committing to taking measures against climate change documents key negotiations against the backdrop of 1980s history while explaining what the choices of the past mean for today's world. The Pulitzer Prize-winning columnist and #1 New York Times best-selling author offers a big-hearted book of wisdom, insight and wit celebrating the joys of being a grandmother. Chronicles the last century of scientific struggle against deadly contagious disease—from the 1918 Spanish influenza pandemic to the recent SARS, Ebola and Zika epidemics—examining related epidemiological mysteries and the role of disease in exacerbating world conflicts. The team behind Google: How Google Works draws on the examples of legendary business mentor Bill Campbell to share the management and team-building lessons he imparted to such prominent clients as Google, Apple and Intuit. What My Mother and I Don't Talk About: Fifteen Writers Break the Silence by Michele Filgate, ed. Inspired by the editor's 2017 Longreads essay, an anthology by 15 literary contributors explores the painful subjects that they cannot discuss with their mothers and how toxic codes of silence have shaped their writing and relationships. The best-selling author of The Clean 20 outlines a diet and lifestyle plan that combines energy-bolstering exercises with high-nutrient, real foods for optimizing how the body is supposed to work for rapid, effective weight loss. The respected alternative medicine authority and best-selling author of The No-Grain Diet presents a guide to using the principles of ketogenic eating and cyclical meal planning to treat disease, promote weight loss and optimize health. Illuminates the evolution of American presidential power through the unique lens of the eight successors to presidents who died in office, sharing insights into the significant historical contributions of leaders who came to the office indirectly. Traces the remarkable life story of history's first foreign-born samurai, detailing his near-mythical journey from a boy soldier in late-16th-century Northern Africa to the heights of Japanese society, where his presence triggered cultural riots. The historian author of Cronkite draws on new primary source material and firsthand interviews in a reassessment of the space program that examines the political, cultural and scientific factors that launched NASA and the space race. The award-winning author of For All the Tea in China documents the lesser-known story of the extraordinary women recruited by Britain's elite spy agency to sabotage the Nazis and help pave the way for Allied victory during World War II. A vivid chronicle of the underground resistance efforts of everyday Germans who thwarted Nazi rule shares the stories of heroes who risked or lost their lives to speak out, smuggle intelligence, defy wrongful laws and help Jewish escapees. Researched portraits of the five women murdered by Jack the Ripper in 1888 challenge popular beliefs to reveal each victim's historically relevant and diverse background while discussing the cultural and gender disadvantages that rendered them vulnerable. A concluding chapter in the series that includes To Hell and Back traces the latter half of the 20th century to the present and includes coverage of the impact of nuclear threat, accelerating globalization and the post-2008 financial crises. The author of Consumers' Imperium presents a scholarly history of the concept of the American heartland that challenges popular misconceptions while connecting regional realities to evolving debates about identity, community, immigration, global power and food. A revisionist history of the end of the Vietnam War reveals how American evacuees helped more than 100,000 South Vietnamese civilians to escape execution or concentration-camp incarceration by North Vietnamese invaders. By the best-selling author of The Last Campaign. The award-winning author of Winnie Davis traces the stories of five Vietnam POW wives, from their early years as convention-ruled married women through their transformations into national lobbyists, advocates, international human-rights figures, spies and rescuers. The conservative Utah Senator, former Supreme Court clerk and author of the best-selling Our Lost Constitution shares historical insights into why America's Declaration of Independence is particularly relevant in the present-day fight against big government. A bold recasting of the second and sixth presidents, father and son John and John Quincy Adams, explores how they worked to partially protect a fledgling American democracy from its vulnerabilities to popularity-driven elections and an elite ruling class. The military historian and author of Fierce Patriot presents a bold reappraisal of George Washington as a young soldier of destiny whose Revolutionary War leadership came to define the American character. The NAACP Image Award-winning creator of The African Americans: Many Rivers to Cross chronicles America's post-Civil War struggle for racial equality and the violent counterrevolution that resubjugated black Americans throughout the 20th century. The Pulitzer Prize-winning journalist and author of the best-selling The Big Year traces how a World War II soldier's discoveries in a Japanese surgeon's diary helped change a war-torn America's perceptions of Japan. The best-selling author of Unmentionable presents an uproarious illustrated guide to Victorian child-rearing that includes such advice as how much lager to consume while pregnant and which toys are most likely to render children sexual deviants. The award-winning creator of the iconic Cathy comic strip presents an illustrated first collection of whimsical, wise and honest essays about being a woman in what she lovingly terms, "the panini generation." In a humorous guidebook, the breakout star of Bravo’s hit reality show Vanderpump Rules teaches readers how to embrace their best basic selves. The best-selling author of American Housewife presents a riotous collection of essays on the art of living as a "Southern Lady" that explores subjects ranging from marriage and manners to women's health and entertaining. Why Don't You Write My Eulogy Now So I Can Correct It? : A Mother's Suggestions by Patricia Marx. Illus by Roz Chast. A gift collection of witty one-liners by the New Yorker writer and first woman elected to the Harvard Lampoon celebrates the universal advice of her mother and is accompanied by full-color illustrations by a New Yorker staff cartoonist. Order a copy of Why Don't You Write My Eulogy Now So I Can Correct It? The award-winning conservationist and author of Badluck Way documents the story of an endangered grizzly and how her struggles to raise her cubs in the face of climate change and shrinking wildlands reflect changing human values. The prize-winning author of Eaarth and The End of Nature shares cautionary insights into how emerging technologies, including artificial intelligence and robotics, are being developed through fervent ideologies that are threatening the diversity of human experience. The Secret Wisdom of Nature: Trees, Animals, and the Extraordinary Balance of All Living Things — Stories from Science and Observation by Peter Wohlleben. Trans by Jane Billinghurst. From the New York Times best-selling author of The Hidden Life of Trees comes the final book in his The Mysteries of Nature trilogy. A former advisor to President Donald Trump alleges that his global network, clandestine meetings about Hillary Clinton's hacked emails and rift with former Attorney General Jeff Sessions made him the first target of Spygate and the Mueller Investigation. The Politico senior writers and authors of Political Playbook trace the inside story of the battle for Congress in the 2018 midterm elections, from the clashes between the Freedom Caucus and Paul Ryan to the controversies surrounding Brett Kavanaugh's confirmation. A prize-winning French-Iranian journalist recounts how her first post-revolution visit home to 1998 Iran turned into a 10-year stay during which she witnessed remarkable political transformations and came to understand life under a volatile regime of suspicion and fear. A revelatory history of the elusive National Security Council reveals how staffers operating in the shadows have driven foreign policy clandestinely for decades and is partially responsible for present-day escalations of hostility and polarization in American government. The national advice columnist and best-selling author of toughLOVE presents a behind-the-scenes tour of a therapist's world from the perspective of both a patient and a psychotherapist who found answers in her client's journeys. Documents the unfulfilled 1980s quest to identify the biological basis of mental illness, documenting the cultural upheavals, activism, public policy change, rivalries and profit-mongering that shaped efforts to address mental illness with biochemical treatments. A guide for parents of college-bound students cites the emergence of mood disorders and other mental-health challenges in mid to late adolescence, sharing counsel on typical versus atypical mental health and what behaviors necessitate intervention. Traces the author's journey from an indebted abuse survivor and single parent to a happily married head of a million-dollar business, sharing short meditations for attracting positive life experiences by guiding personal emotions. From the New York Times best-selling author of The Subtle Art of Not Giving a F*ck comes a new unorthodox self-help book. A noted comedian, actor and author of Revolution explores the idea of mentoring and shares what he's learned from the guidance of his own helpers, heroes and mentors. A timely call to action for women's empowerment by the influential co-chair of the Bill & Melinda Gates Foundation identifies the link between women's equality and societal health, sharing uplifting insights by international advocates in the fight against gender bias. Blends historical analysis with on-the-ground reporting in a tour through the landscape and relevance of modern conspiracy theories that explores present-day phenomena ranging from birthers and Pizzagate to fake news and global warming as a Chinese hoax. The best-selling author of The Road to Character presents a thought-provoking exploration of the qualities of a meaningful life, drawing on inspirational examples to offer advice about personal philosophies, a vocation, faith, relationships and community life. A Sin by Any Other Name: Reckoning with Racism and the Heritage of the South by Robert W. Lee. Foreword by Bernice A. King. An activist, pastor and direct descendant of Confederate general Robert E. Lee traces his upbringing in the American South with a name associated with the double-sided realities of honor, privilege, inequality and the misinterpretation of Christian values. Based on the author's viral 2018 commencement speech at Barnard College, the two-time Olympic gold medalist and FIFA World Cup Champion presents an empowering rally cry for women to unleash their power, build teams and positively change the world. A sportswriter's uproarious indictment of how the 45th president's golf habits reflect his off-the-course ethics draws on personal experience and witness interviews to reveal how Trump lies, intimidates and files lawsuits to get away with rampant cheating. A history of the national pastime as told through the craft of pitching draws on years of archival research and interviews with more than 300 star athletes to reveal the colorful stories and folklore behind 10 major pitches. The best-selling author of Return of the King traces the story of LeBron James' professional journey to becoming a billion-dollar global brand and businessman who has influenced how professional athletes understand their value. Order a copy of LeBron, Inc.